One of my best pieces of advice to help people save money is to do an audit of your monthly bills to ensure you aren’t overpaying. Though I put some of my bills on “autopay,” when I’ve done a bi-annual audit of those bills, I’ve been surprised at what charges sneak up on my bills that weren’t supposed to be on there, sneaky! While we preach this advice, how many of us actually go through each of our bills to see if we’re saving the most money possible on our monthly bills? Additionally, if you have a new bill (like perhaps home insurance) that you’ve never had to handle before, how do you know the best way to shop around without driving yourself crazy to save a buck? I was recently approached by Cinch Financial, a Boston-based startup, that helps people save money on their biggest bills. Cinch is a FREE personalized, unbiased recommendation and service comparison tool for things like insurance, mortgages, banks, and credit cards. The current beta test site offers a few ways to interact with the site: If you’re shopping around for a new service, you can get a recommendation by answering a few questions about your current financial situation and needs. If your location isn’t yet available on the site or you want a more detailed recommendation, you can submit a snapshot of your bill. 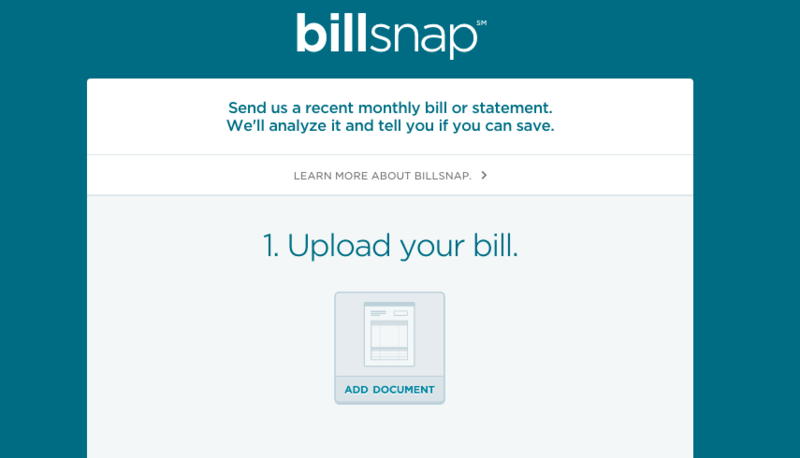 This tool, called BillSnap, allows you to upload a bill that Cinch experts will analyze for savings opportunities– mainly, to see if you could be getting better service at a cheaper price. BillSnap is just the beginning for how Cinch plans to help its users. The company is currently working on allowing users to link their checking account or credit card to Cinch to let the service identify your biggest bills and the relevant details about the bill to make savings recommendations. That last part is awesome – if you’ve never had to pay for your own cable, or mortgage, how do you know you’re not getting ripped off? As we get older, there are more bills. I don’t know about you, but researching car insurance policies makes my head hurt. I appreciate any tool that can keep things simple and save me money. Cinch is unbiased. Meaning, the products they recommend for you are not paid placements. You’re not getting ads and they’re not getting commissions, you’re getting honest recommendations based on your needs. That’s awesome! BillSnap is an easy way to get the most personalized recommendation to save on your biggest bills and it’s completely secure, and it sounds like the new tools they’ll add will be even easier. It’s really fast. To get my cellphone bill looked over, I simply uploaded the PDF bill that Verizon sends out and added a short description. Within a few days I had my feedback and a fast assessment on what to do next to save money! Your savings are highly tailored. After submitting my bill for analysis, I got a really personalized list of recommendations that helped me save money and were actionable. It was really useful and I knew where to go next. There’s no catch. Cinch believes that people deserve complete transparency when it comes to their finances and pride themselves on being a resource. No shady sales tactics, just tools. 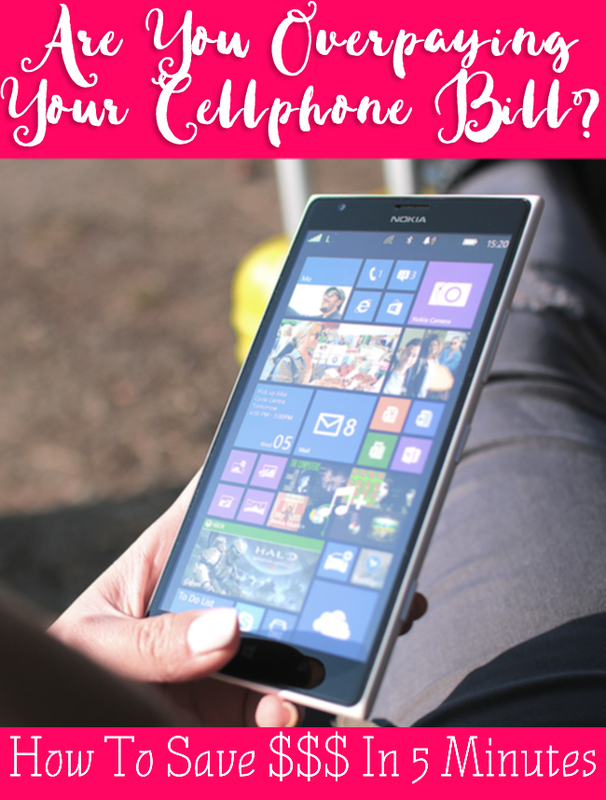 BillSnap responses can take a few days (mine took 4) since they’re tailored for your bill. If you want something sooner, website recommendations are immediate. They’ve researched every company that does business in the state you’re looking in, and have excluded any business options that have poor customer ratings. When they give you your results, you’ll be informed on a variety of factors such as cost, value and helpful product points to help influence your decision. Right now, site recommendations are available for a limited number of states, but BillSnap is functional for users anywhere. Since they’re a startup, they’re rapidly growing and making improvements to include more helpful feedback as they get rolling! In five minutes, I had a tailored assessment that my current plan is not the right plan for me. 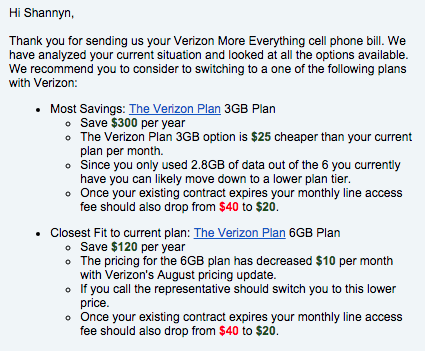 I could easily be saving $25 a month just based on the fact I’m not using as much data as I used to. No digging, no guesswork, I just had a fast answer. Could you get excited about saving up to $300 a year for no real work involved? I could and I just did! BillSnap was truly that – a snap! What’s great is that you can also use Cinch’s BillSnap for pretty much any of your big bills. Seriously, are you saving as much as you could or are you overwhelmed with combing through pages of info to make a decision? Getting their suggestions is free and safe – it costs you nothing and saves you time, I’m really excited about this service (and the $300 a year I didn’t know I could be saving!!) and loved it. – If you need to open a new account or credit card or compare your current one to other options, scope out their recommendations tool. – Get a quick audit of any other bills you may have. You have the ability to submit other bills than their listed services. – Cinch’s ultimate goal is that a user can sign in, link their accounts, and an automation system finds the key information about your big bills to help produce savings recommendations regularly. But for now, they’ll do their best to help you out with your big bills and help you analyze for savings. And stay tuned – Cinch is about to add cell phone plans to the recommendation tool! 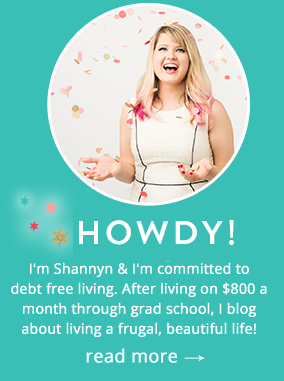 Cinch Financial has partnered with FrugalBeautiful to talk about their services and recommendations tool. Opinions and experience are that of the blogger, not of any partners or Cinch Financial. Hmm I’ll have to send this to my husband and see if we can save some money. I truthfully am not even sure what plan we’re on ha Thanks for sharing! You can’t go wrong trying to save some money this way! Awesome! I hope you save some money! This looks like a great tool! Thanks for sharing! I’m going to share this with my husband and see if we can both take advantage of their services. Yess!!!! I love a good web tool and I love saving money even more! going to give this a try out to see ifI could be saving money in other areas. I’m sure my readers will love it too!